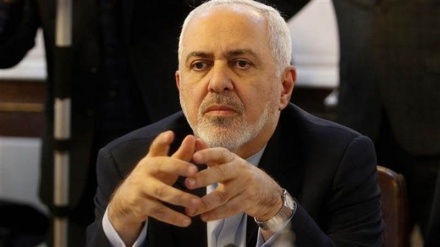 Chief of Staff of the Iranian Armed Forces Major General Mohammad Hossein Baqeri warned the anti-Iran terrorist groups not to set up bases near the country's borders or face its military force and airstrikes. "Air power has many missions during peace time and if a terrorist group sets up strongholds near Iran's borders, we will not remain silent, and such missions and cooperation with air defense units are highly important to safeguard the air borders," General Baqeri said, addressing a forum in Tehran on Tuesday. 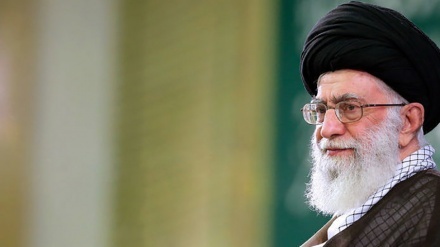 He also underlined the growing role of drones in defending the country and Iran's huge progress in building such aircraft, and said, "Today, the Islamic Iran is among the first seven major drone powers." 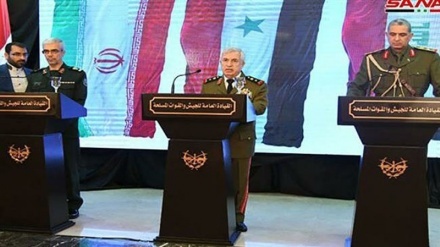 General Baqeri said that the October 1 missile and drone strikes against the Daesh terrorist group in Syria in response to the September 22 attacks in Southwestern Iran showed that the country's security is a redline for the Armed Forces. The Islamic Revolution Guards Corps (IRGC) in response to the September 22 terrorist attacks in Southwestern Iran launched drone and missile strikes on Daesh strongholds in Eastern Syria on October 1. 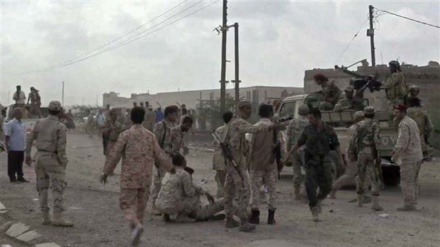 26 people were martyred and 69 others were wounded in an attack by al-Ahwaziya terrorist group during the nationwide military parades in the Southwestern city of Ahwaz on September 22. The terrorists attacked the bystanders watching the annual Armed Forces' parades, marking the Sacred Defense Week, commemorating Iranians' sacrifices during the 8 years of the Iraqi imposed war on Iran in 1980s, in disguise of the IRGC and Basij (volunteer) forces, killing and wounding several people, including innocent women and children. 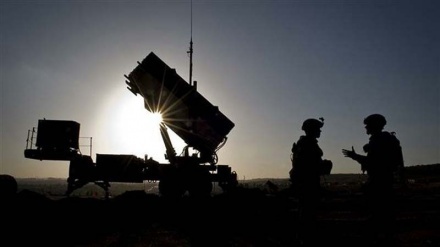 In response, the IRGC fired 6 ballistic ground-to-ground missiles and launched drone attacks on terrorists' positions in Eastern Euphrates region in Eastern Syria. The operation codenamed Zarbat-e Moharram (Blow of Moharram) was carried out at 2:00 AM (local time) October 1, against the headquarters of Takfiri terrorists near Albu Kamal region in Eastern Euphrates from Kermanshah Province in Western Iran, 570km away from the targets. 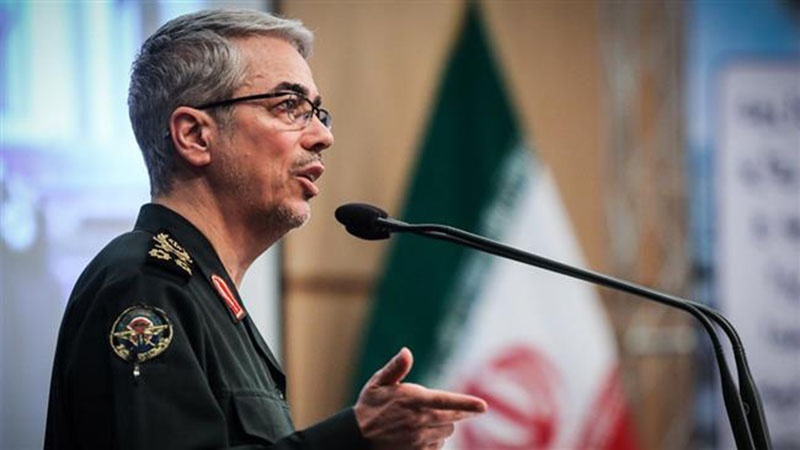 The IRGC's Aerospace Force Brigadier General Amir Ali Hajizadeh announced later that the missile and drone strikes against the terrorist targets in Syria killed 40 Daesh commanders and smashed all targets. 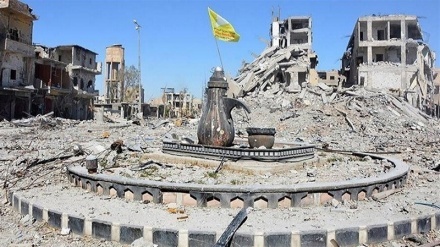 Later reports said that the IRGC had used the home-made drone, Saeqeh (Thunderbolt), for pounding the command center of the terrorists in Eastern Syria.